Carolyn Blunt, Managing Director of Ember Real Results, details how to best use e-learning in the contact centre. Before we introduce the main uses for digital learning in the contact centre, it is important to first discuss the difference between digital learning and traditional e-learning. 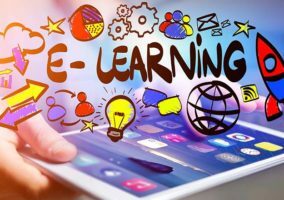 e-learning is usually based on pre-defined modules, so contact centres will likely have a compliance module, for example, whereas digital learning can come from any type of digital source. For instance, if you were to learn something from a WhatsApp conversation, that could be considered digital learning. e-learning is usually based on pre-defined modules, whereas digital learning can come from any type of digital source. Contact centre e-learning modules can be completed individually or via facilitated group e-learning, e.g. with an instructor at the front of the room and learners using PCs. Digital learning is more individually led and may take place on any type of device from anywhere. Here are six different applications of digital learning and e-learning in the contact centre. Contact centre advisors often have to handle numerous types of contact– whether it is handling complaints, stock queries or changing customer information – and each one has a different set of processes. Throw some different channels into the mix and again you have additional systems and processes. A great use of e-learning is to have a visual process guide of how to respond to each common contact query, perhaps including screenshots and voice-over examples. This will help advisors learn how to navigate systems and respond to different customer queries. A great use of e-learning is to have a visual process guide of how to respond to each common contact query, perhaps including screenshots and voice over examples. When this type of e-learning is well designed, it can increase the speed to competence from induction to the floor. It can be made interactive and can also test advisors on their knowledge of these processes, through quizzes, determining who needs further training and who is ready to move onto the next phase, which provides a more tailored approach to learning and development. These e-learning modules can help introduce advisors to new systems/processes and are good for refresher training. And, if your quality analyst finds that an individual has struggled on a certain area, they can simply ask the advisor to run through the module again, without having to schedule or wait for classroom training. The classroom can be a great place to learn soft skills, but sometimes it is a challenge for the best trainers to give an engaging training session on product/system knowledge. So instead of being told, via a PowerPoint presentation, that you need to remember the name of product X, Y and Z, e-learning can engage advisors “one-to-one”, testing their knowledge individually. Gamification can really help bring this process to life. Using the example above, a contact centre can use e-learning to create “drag and drop” games, where the advisor needs to match the name of a product to a picture of it. While many aspects of the advisor role require subjective personal skills – such as emotional intelligence, the ability to solve a problem, and empathy – there are certain things that advisors either know or they don’t know. These include compliance, legal scripts and health and safety procedures. When done creatively, e-learning can help bring these to life. 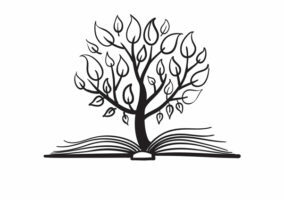 The risk is boring ‘click next’ -type e-learning, with pages of text to read. Instead, the e-learning should be animated, have a variety of voice-overs, games and interactive elements to keep the learner engaged. One of the worst crimes in compliance e-learning is to simply repeat the same boring, flat modules every year without any updates or refreshers. Test results will provide you with data, so you know which advisors know what, on an individual basis. e-learning can also help to ensure that each advisor knows every part of these important regulations, because the platform can track an advisor’s response to tests. These test results will provide you with data, so you know which advisors know what, on an individual basis. As already mentioned, improving skills like empathy, listening and building rapport are best done in the classroom where there can be discussion, questioning, observations and skills practice. However, e-learning can also be used to support any knowledge that is included in these sessions, either before the training (pre-work) or after (follow-up). e-learning modules can include communication theories, examples, videos and other tools to give suggestions on how to use posture, questioning and language choices to best impact conversations. It is possible to use e-learning to host listening-skill quizzes, provide scenarios to invite empathy, understand rapport, and practise sales skills. Digital solutions can also include virtual classrooms and chat groups to discuss and follow up from classroom learning or individual self-study. Also, e-learning can be used to develop leadership capabilities. For example, a short learning on the GROW model before attending the classroom training programme can provide a good head-start – saving the discussion and application of the theory for the group time, rather than having to passively listen to the trainer describe the model. While thought leaders in the digital learning space are currently trailing gaming equipment and virtual reality (VR) headsets to mimic real-life situations, this technology is still expensive and emerging in the contact centre learning and development world. As of right now, reviewing the advisor’s own calls, chats, emails and posts with one-to-one coaching is still one of the best ways of developing soft skills. Using experienced peers as the coaches can also be incredibly powerful as the advisor feels able to relate to and trust the experience of the coach. e-learning can assist in developing technical knowledge, which may even go beyond the duties of the advisor on the contact centre floor. These technical skills can range from things such as Lean Six Sigma, resource planning and forecasting, through to project management techniques or leadership theories. Offering advisors additional optional modules in these areas can highlight talent, meaning that the contact centre gains an idea of who may be best to promote when there is an opportunity to do so. Just because someone is great at talking to customers, it doesn’t necessarily mean that they are great leaders. Remember, just because someone is great at talking to customers, it doesn’t necessarily mean that they are great leaders. e-learning gives you an opportunity to test the appetite and aptitude for personal career development. e-learning also has a useful role to play in induction training, where it can be blended with classroom learning to develop and practise many of the modules listed above. 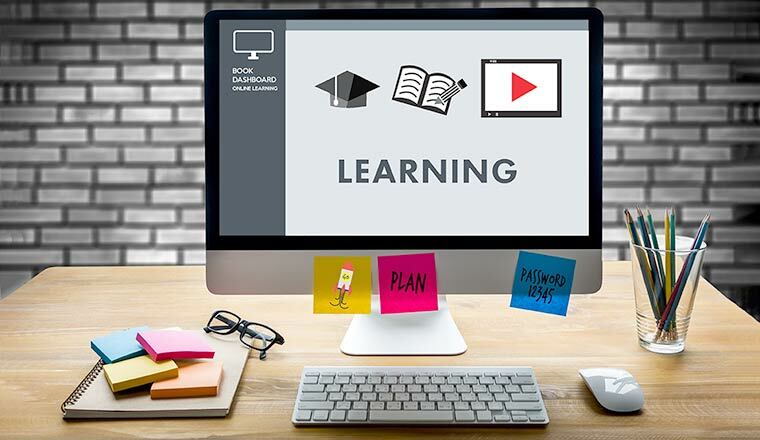 In this circumstance, e-learning has the advantage that new starters are able to study at their own pace and achieve recognition when they successfully complete modules. Online league tables, badges and printed certificates are great ways to keep motivation going. While it is good practice to create modules around each of the four areas highlighted above, it is another challenge to create modules that are actually completed voluntarily, while also being engaging and promoting positive attitudes towards learning. 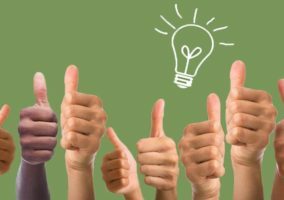 Here are some ideas for how to best use digital learning, not only as a tool to improve advisor knowledge, but also to improve contact centre attitudes towards coaching. Daily quizzes are a good way to keep advisors informed and help retain knowledge. For example, the e-learning platform Errol Owl sends quiz questions to learners every day, via email or an app, to help them learn and retain knowledge. These quizzes usually take less than a minute to complete and can be answered when customer contact volumes are lower than expected. Also, advisors who have a streak of correct answers can be added to a leaderboard, which can then be incentivised to further engage advisors with the learning process. This can create healthy competition between advisors while raising the bar on their knowledge. Also, the e-learning platform can drive traffic to the relevant modules that support the learner when incorrect answers are chosen. When determining the questions to send to advisors, it is important to create learning ‘campaigns’ that the learners can progress through as they learn and gain more experience. Overloading advisors with questions that are too easy or too challenging creates learner disengagement. Overloading advisors with questions that are too easy or too challenging creates learner disengagement. The more questions your advisors answer the more Errol learns their individual strengths and weaknesses, so the platform can tailor questions to suit. By doing this, the contact centre can create unique “learner journeys” so advisors are each receiving targeted quizzes tailored to their individual skill set and pointing them to the relevant digital solutions. To engage the team with e-learning, it is important to make it as interactive as possible. It’s important avoid the dreaded ‘read and click next’ approach. So, when creating modules, try to include visuals of your products and services and voice-overs of advisor–customer interactions and work in a few surprises. Development is critical to the new millennial generation that are entering the contact centre. In fact, according to a Deloitte study, “42% say they are likely to leave because they are not learning fast enough”. However, e-learning gives learners an opportunity to visualise their progress, as advisors can track their completion rates across a series of different modules and see the progression that they are making in each area. Having a clear learning and development structure in place, as well as having a clear job progression pathway within the business, is a good strategy to attract talent and lower attrition in the contact centre. Having e-learning modules ready and waiting is a good way for team leaders to keep advisors productive when call volumes are lower than expected. This can even be linked to your WFM solution, so when volumes are lower than predicted and availability is good, reminders can pop up to drive bite-sized digital learning completion. When contact centres are busy, training is often one of the first things that is pushed to the wayside, but when they are quieter this is a great way of ensuring that advisors are continuing to develop. While e-learning can help advisors to retain and develop their knowledge, which should help to improve performance, having an e-learning platform can boost the contact centre in other ways too. Four key benefits of installing an e-learning platform are highlighted below. Many contact centres hire part-time staff for peak seasonal changes, often to cope with a rise in contact volumes. Many contact centres will have a rise in contact volumes from September to January, in order to manage the Christmas sales and returns period. However, getting these temporary workers up to competency remains a time-consuming and often one-off short-term investment. 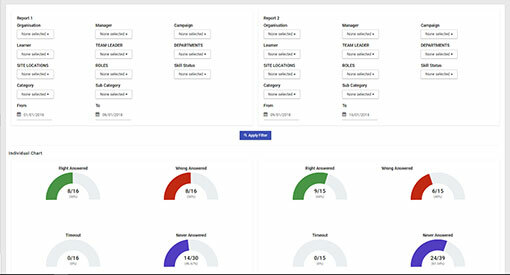 Using a digital learning strategy is one way, as it can take advisors through all basic query types interactively, while testing them through gamification and tracking their progression. This gives trainers and managers information, at an individual level, to see who is best prepared to take to the contact centre floor. While e-learning can track the progress that advisors are making, repeated wrong answers to daily quizzes can highlight skill gaps, both at an individual and team level. If the skill gap is at a team level, it is best to rethink the training strategy. But if it is at an individual level, you can highlight these individuals for one-to-one sessions and refresher modules. This is more effective than making everyone sit through another training, when in reality it may only be a few advisors that struggle in this area. This approach can create boredom and frustration towards training for the majority that don’t need the additional recap, as well as being a waste of resources. It is common in contact centres for advisors to feel as though they have learned more on the job than in training, especially if there is little or no refresher training beyond the initial induction. But it is important that the “lessons” they are learning are in the best interests of the customer and not bad habits and short-cuts from more experienced colleagues. It is important to ensure that the information being shared around the contact centre is accurate and not an urban legend. While it is good to create a culture of learning, where advisors use guidance from others in the team and their own personal experience to make decisions, it is important to ensure that the information being shared around the contact centre is accurate and not an urban legend. An e-learning platform can offer a moderated community page that enables advisors to share their best practices with one another. Earlier we highlighted that 42% of millennials will leave a job if there is no opportunity for development. Yet, the same Deloitte survey also found that 84% of British people believe that “continuous learning” is either “important” or “very important” for business success. This ranks the UK 6th out of 16 countries and highlights how a lack of career development opportunities may be linked to lower employee engagement and higher attrition in UK contact centres. Offering gamified digital learning content gives advisors the ability to take ownership of their own development, while fun daily quizzes and spot prizes can help to maintain motivation in repetitive environments. Here are some mistakes that contact centres can make when implementing a digital learning strategy. Clever, modern e-learning is great for bringing dull processes to life. It works well for compliance and knowledge inputs. The classroom is still great for working on soft skills, where advisors can safely test out new techniques and best practices for themselves. So, when blending programmes, a good rule of thumb is to take the knowledge content into e-learning, while keeping the facilitated classroom time for coaching soft skills. As with any form of learning, there needs to be some form of “follow-up”. This helps to ensure that advisors are not forgetting important information. The timing of the follow-up is important, and keeping the follow-up brief, but regular, is powerful. This is where fast daily quizzes really show their value. These micro-learning sessions can ensure that advisors are constantly reinforcing their learning, and reduces the need for longer sessions of “follow-up” training time. The data from these quizzes also provides valuable data to ensure that coaching conversations and further training are targeted appropriately, thus avoiding sheep dip. Just because advisors are learning, it doesn’t mean that they are changing their behaviours. Just because advisors are learning, it doesn’t mean that they are changing their behaviours. There needs to be an effort made to connect learning and behaviour change. If you have implemented a robust digital learning strategy and nether KPIs, quality or customer feedback have improved, it is possible that advisors aren’t consistently using their learning to modify behaviour. To resolve this it’s worth reviewing the current learning solutions on offer. Are they pragmatic enough? Consider creating some scenarios to practise transferring learning to real-life examples and build this into bite-sized follow-up sessions or refresher modules or quizzes. A peer-to-peer coaching strategy can also work well in the contact centre to encourage advisors to help each other to implement their action plans from learning events. This can be undertaken in person or via a learning management system if functionality allows for chat rooms, collaborations and user-generated uploads. Building this ‘social learning’ can be incredibly useful in embedding learning and creating sustained behaviour change. Learning management systems (LMSs) cost money. Digital content costs time and investment to create and maintain. The system cannot become just another icon on an advisor’s desktop that they never use. There has to be constant communication and engagement that encourages advisors to use the platform. By creating ‘learning campaigns’ in the contact centre, you can help the team to engage with e-learning and consequently help advisors to reinforce their knowledge and improve performance. Errol Owl, as referenced in this article, is Ember Real Results’ digital knowledge retention platform that drives traffic into LMSs and knowledge bases. 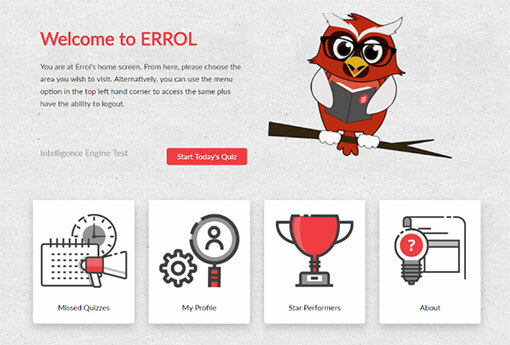 To find out more about Errol Owl, the Knowledge Retention Platform, as referenced throughout this article, click here. Thanks to Carolyn Blunt at Ember Real Results for sharing this article with us. How Can a Learning Management System Boost Business?